The Kern County Medical Society (KCMS) is a professional association of physicians practicing in Kern County who are dedicated to addressing local health issues of concern to their patients and their profession. We are a subsidiary of the California Medical Association (CMA). Kern County Medical Society is committed to assisting member physicians with the support, advocacy and assistance they need regarding today's health care issues. For a listing of KCMS/CMA services provided member physicians, please visit our Membership Information section. Since its beginning in 1897, the KCMS and its members have been active in responding to and meeting the health care needs of our community. Through its staff and various committees, the Kern County Medical Society provides community services that help to improve the lives of Kern County residents. Visit our Community Services & Resources section to learn more about these services. For assistance in finding a physician, visit our Physician Locator section. 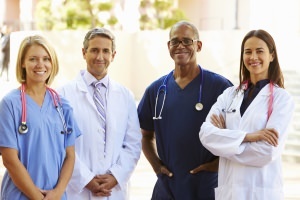 The mission of the Kern County Medical Society is to promote the science and art of medicine, the care and well-being of patients, the protection of the public health, the betterment of the medical profession and the welfare of its members.